Unsolved: Ashley Freeman lived in Welch, OK and had just celebrated her ”Sweet 16th” Birthday on December 29, 1999 with her best friend, Lauria Bible, a girl she grew up with. She also had her boyfriend, Jeremy Hurst, come over but he left that night around 9:30pm. Sweet turned to sour when, at 6am the following morning, a 911 call from the neighbor saying the Freeman trailer home was on fire and that the girls were inside. Police raced over and so did Jay and Lorene Bible, Laura’s parents. They began looking through the ashes and discovered the body of Kathy Freeman, Ashley’s Mother. Police could not find the bodies of Danny Freeman, Ashley and Lauria. They theorized that he killed Kathy and abducted his daughter and her friend, however, his remains were found a day later on new years day. They both had been shot in the head before the fire. Lauria Bible nor Ashley Freeman were never found. Lauria’s purse was left behind with $200 in it suggesting they might have been abducted and robbery was ruled out as a motive. Due to several mistakes in the investigation, much of the evidence at the crime scene was destroyed or tampered with. By the time the OSBI and FBI came to the scene, they had little to nothing to go on. There were no suspects in the case, but before his death, Danny had warned his brother, Dwayne Vancil, that if anything happened to him to look at the Craig Count Sheriff’s Department. His son, Shane, had been shot and killed by a deputy after taking a truck, and they were about to file a wrongful death lawsuit on the department. The deputies voluntarily took themselves out of the investigation, and the case was turned over to the Oklahoma State Bureau of Investigation, and the sheriff’s department all passed polygraph tests. Another theory was that Danny was a small time drug trafficker, and that he had met with two unidentified men two weeks before the murder, one of whom he did not want there and made them leave, but that theory never fit with the girls’ disappearance. Some believe Ashley killed her parents and fled with Lauria, because there was evidence of friction between Ashley and her father, but authorities do not believe that the girls could have hidden out for so long and those who knew the teen stated she wasn’t violent, and cared about her mother a lot. This case was aired on July 3, 2001. 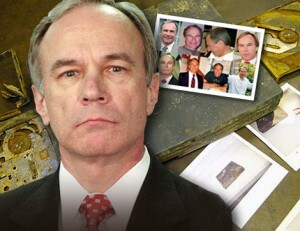 It was also profiled on America’s Most Wanted and Vanished With Beth Holloway. Jeremy Bryan Jones and another man have both “confessed” to having led both Lauria and Ashley from the house and killing them elsewhere, but one confession has been proven false, and the other confession is suspected to be false as well. The girls have never been found. As of 2012, the girl’s whereabouts remain unsolved and Ashley Freeman’s family still hasn’t had Justice. Pictured: Ashley Renae Freeman – Ashley may have last been wearing a t-shirt, blue jeans, a baseball cap, white tennis shoes, and a windbreaker. Pictured: Lauria Jaylene Bible – Lauria may have last been wearing a blue shirt, blue jeans, and either white tennis shoes or black boots. She was also wearing silver earrings in the shape of a heart with a diamond on them. Ashley was living with her parents and her older brother, Shane Freeman, in a trailer-home in Welch, Oklahoma. Her family had problems that required counseling due to her brother Shane stealing his Uncles pick-up truck in 1998, and other behavioral issues. Shane was also charged with breaking into Lauria Bible’s family home in the first week of January, 1999. He had stolen some of Lauria’s possessions along with money and guns that belonged to the Parents of Lauria Bible. That same week, on January 8th, 1999, Shane was driving a stolen vehicle that belonged to a neighbor. When the car broke down on a Oklahoma Country road. A Police Officer would later state that when he went to investigate and arrest Shane, that he (Shane) pulled a gun out of his back pocket. The Officer shot and killed Shane On January 8th, 1999. The incident was later investigated and it was ruled in favor of the Officer. Many people have their own theories of what happened that day. The Freeman family had an ongoing feud with the Welch Sheriff’s Office due to Shane being killed in what they believe was cold-blooded-murder. According to them, Shane was shot in the backside which would make the Officer’s account of what happened, false. In the Summer of ’98, Ashley’s father Danny , who is known to have a violent temper, was charged with abusing Shane. Her father stated that the whole incident was exaggerated and overblown although visible marks were on Shane. Shane isn’t the only one who caught the bad-end of Danny’s temper. In 1985 he was charged with beating his father-in-law after the man trimmed his bushes without asking Danny first. Rumors stated that Danny was involved in drugs and was verbally and physically abusive of his children, although he denies this. Kathy Freeman was unlike her husband or son, she was considered the main bread-whiner who always showed up to work. A loving, dependable, caring person who didn’t have trouble with the law. Anyone with information concerning this case should take no action, but instead immediately contact the nearest FBI Office or local law enforcement agency. For any possible sighting outside the United States, contact the nearest United States Embassy or Consulate. Or call 1-800-843-5678 (1-800-THE-LOST) with any information.